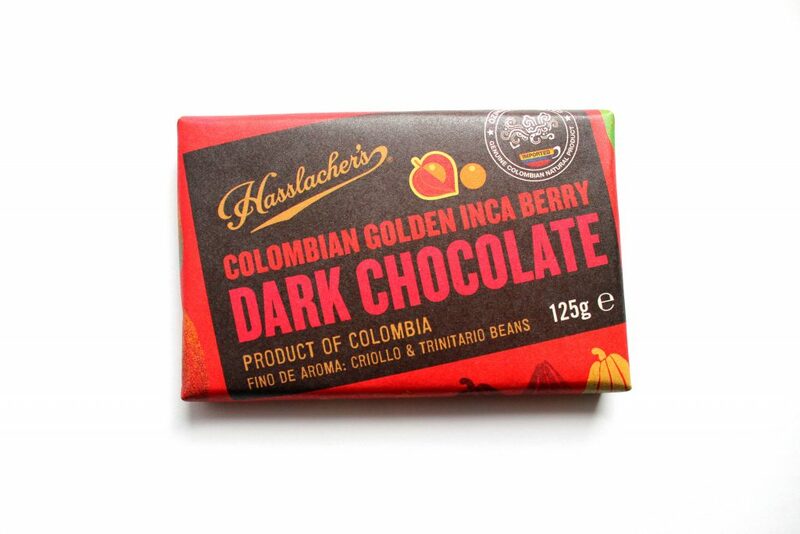 Hasslachers are an exciting company based in Bath, UK and Bogota, Colombia who manufacture and import goods from Latin America. 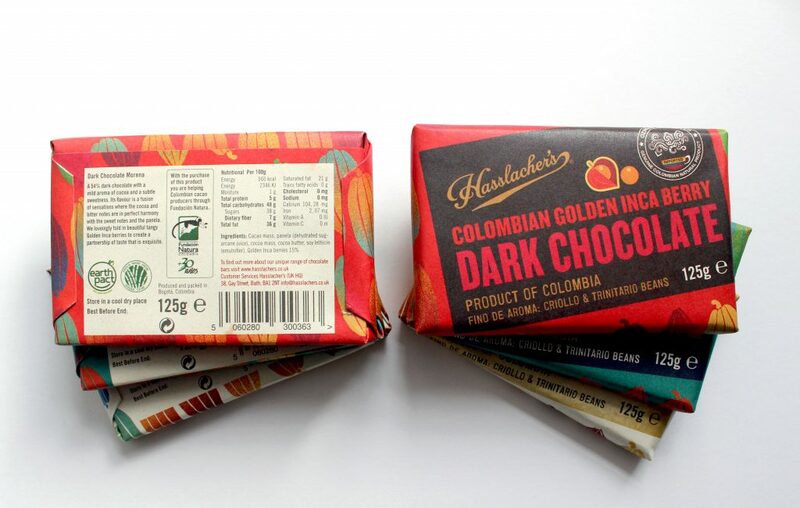 They are most famous for importing delicious traditional Colombian Hot Chocolate in bar form. Earlier this year we were commissioned by Hasslachers to develop packaging designs for a number of new product ranges. 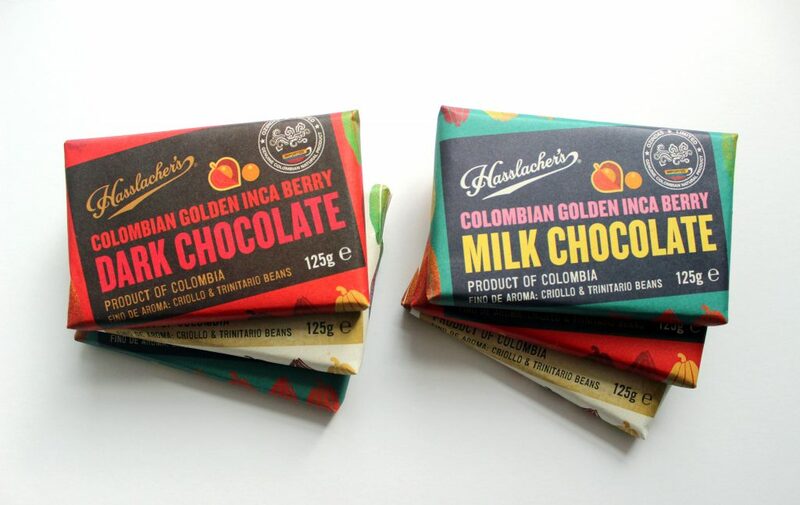 The first to have been sampled is their new range of golden inca berry chocolate bars – available in dark, white and milk chocolate. For any chocolate lover this was a fantastic opportunity and after exploring a number of options we came up with an illustrative approach, combined with bold typography. 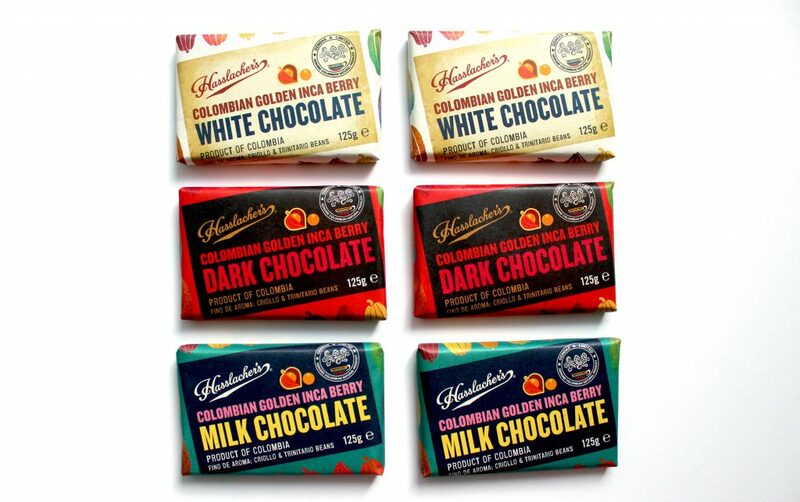 With the illustration we adopted a stencil style – using repeated pod forms rendered in many hues inspired by the range of colours found in ripening cacao pods. The packaging was printed and hand-wrapped in Colombia using natural sustainably sugarcane paper which gives the product nice matt feel and artisanal finish.